Sonic Rush Back Cover. 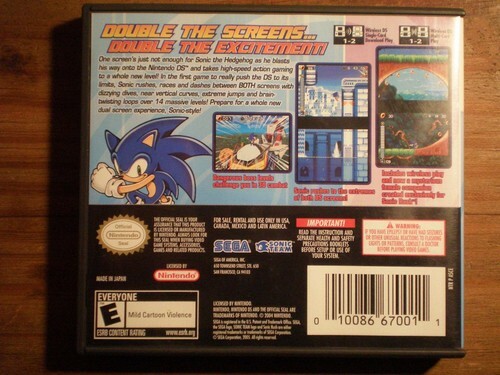 The back cover of Sonic Rush's box art. Note the statement "...and new a mysterious female companion created exclusively for Sonic Rush", implying Blaze was meant to be a one-off character.. HD Wallpaper and background images in the Blaze the Cat club tagged: photo sonic rush blaze cat hedgehog back cover box art.